What does it mean to live in a strata scheme? Shared responsibility, shared enjoyment, shared spaces and shared community. Nelson Tilbrook discusses how strata skills can help in creating community. With 75% of residents – just under 150,000 people – living in strata regulated dwellings, the City of Sydney is one of the most densely populated local government areas in Australia. As the population of the City continues to increase, the number of people living in high-density developments is also likely to rise. And, it is expected that by 2030, the City will have an extra 61,000 strata titled dwellings. Indeed, by 2030, it is expected that almost half the state’s population will live in strata. Faced with this unique set of circumstances, and in the light of several academic articles about the issues and needs of people living in high-density, the City of Sydney established the Strata Skills 101 program to support residents, both owners and tenants, in high-density communities1. The process of learning the language of strata builds confidence and helps residents to understand their rights and responsibilities in strata schemes. This process encourages cooperation, compromise and community in any size strata scheme. It also allows residents to take an active role in their strata community. The City’s Strata Skills 101 program consists of a series of workshops, which aim to build the skills, knowledge and strata literacy for the City’s strata residents, as well as those who are considering becoming part of a strata community. The program is divided into three key areas: Building, Governance and Communication and Community. It is designed to improve communication within strata schemes and increase the capacity of residents to overcome common areas of conflict within strata – such as noise, parties, pets, parking and recycling and waste – resulting in not just an improved amenity, but improved social cohesion, adaptive capacity and resilience within the strata scheme. Workshops explicitly promote formal and informal strategies for building community and creating high-rise harmony. Workshops include High-rise Harmony: Communication strategies to create a sense of community in your building; The New Executive Committee Member: Individual needs or the collective good? ; Strata Paws: Living with pets in high-rise apartments; PETiquette: For pet owners in apartments; and High-rise Compatibility: Will you be well matched with your new home? So, how do you build community within your strata scheme? If you are an owner, you could join the Executive Committee. The Executive Committee is the best place to become engaged and to engage others. Once on the Executive Committee, you can then welcome residents to attend more open style Executive Committee meetings, where all residents are able to contribute. 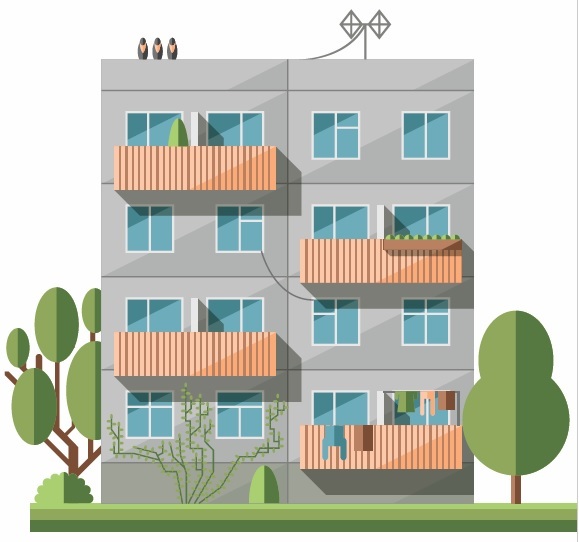 This will encourage residents to raise issues for discussion and resolution by the committee, and provide residents with the opportunity to connect and become familiar with the building’s by-laws. A simple yet effective strategy is to communicate. Keep everyone advised of updates and developments in the building – ranging from the status of building works, repairs and maintenance issues, to upcoming events or meetings. Residents in the City area have told us about simple platforms they have created for better communication in their building, such as an apartment newsletter, a Facebook group, an interactive website and a resident handbook. Sometimes it can be as simple as saying ‘hi’ when you pass your neighbours. Often in strata schemes, the only communication you have with your neighbours is through rigid and formal strata meetings, or through brief and casual interactions in common areas. In addressing this, residents have spoken to us about how they have joined or established dog walking groups, or mother’s groups, or other types of groups in the building, and how these can be useful ways to get to know your neighbours; as can hosting events and gatherings on ‘common property’ to celebrate holidays and long weekends. Social gatherings within apartment complexes provide residents with the opportunity to build meaningful social connections, trust and rapport with their neighbours. Ultimately, living in a strata scheme is a positive thing. Through shared responsibility and shared spaces, you have the opportunity to create your own special community that is characterised by trust, social cohesion and resilience. Everyone wins. If you would like to know more about the City of Sydney’s Strata Skills 101 program, you can visit www.strataskills101.com.au for more information. 1 Easthope, H. 2012. Governing the Compact City: The role and effectiveness of strata management, City Futures Research Centre, UNSW.